You can call living in Dubai, when you have massive bank accounts, a bit excess or a little sliver of heaven. Either way you slice it, Dubai brings out the heavy hitters on both ends of the law – considering the local Dubai police force has what is acclaimed as the fastest police cars in the world. Police in Dubai don’t slum around in Dodge Chargers or Chevy Impalas, they rather fit into the exotic crowd with Aston Martins, Bugattis, Ferraris, Lamborghinis and low-grade marques like Mercedes and Mustangs to drive around the streets of Dubai. In order to remove the barrier between the police and the community, the cars are paraded through the most luxurious neighborhoods of Dubai, allowing locals to take pictures and marvel at the high-end sports cars. 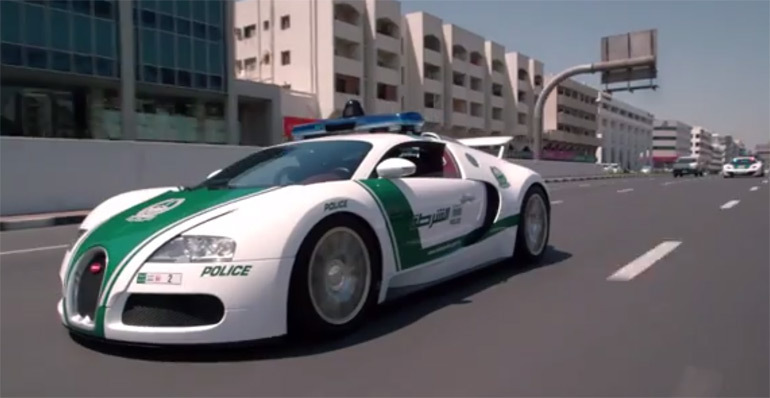 Check out Vocativ’s video of the many Dubai Police vehicles in action below. Enjoy!